Between 1690 and 1900, flat-bottomed cargo barges called gundalows dominated the waters of the Piscataqua region. Captain Edward H. Adams (1860–1950), the builder and captain of the Fanny M, the last commercial gundalow, worked hard to generate concern about the health of Great Bay Estuary. His efforts inspired the Piscataqua Gundalow Project, through which a group of visionaries and volunteers built a historically accurate replica gundalow in 1982 that bears his name. In 2002 the Gundalow Company was formed as a nonprofit organization to acquire ownership of this first replica gundalow. 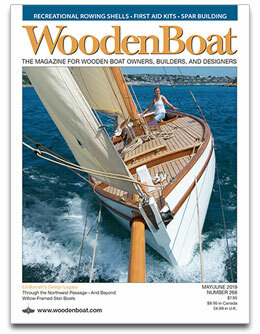 In 2011, Paul Rollins was hired by the Gundalow Company to build a new gundalow named “Piscataqua” on the grounds of Strawbery Banke. 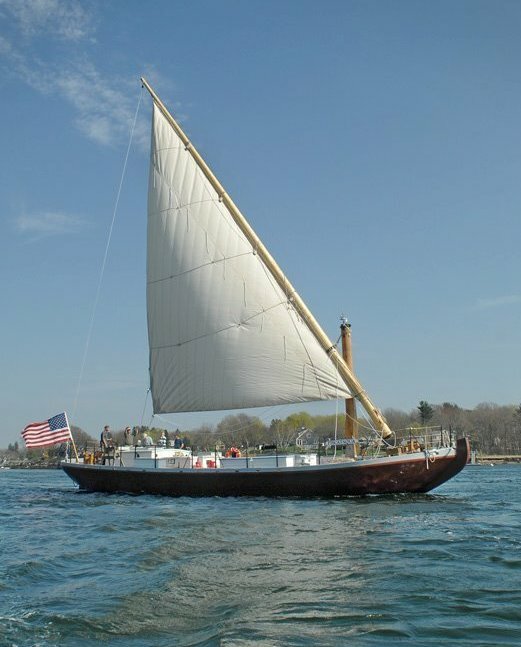 “Piscataqua” is certified by the Coast Guard to carry up to 49 passengers on school programs, public sails, and charters. Today the Gundalow Company’s mission — to protect the Piscataqua Region’s maritime heritage and environment through education and action– has never been more important. 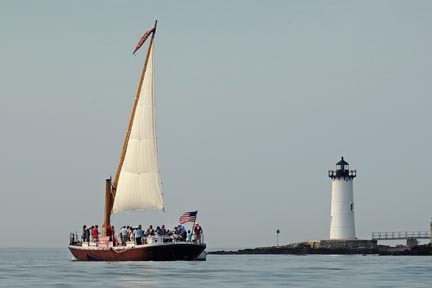 Our programs — held throughout the tidal towns of the Piscataqua — connect our maritime history with contemporary coastal issues such as water quality, habitat restoration, conservation, and stewardship. For more information, please visit our website at www.gundalow.org or call 603 433 9505.